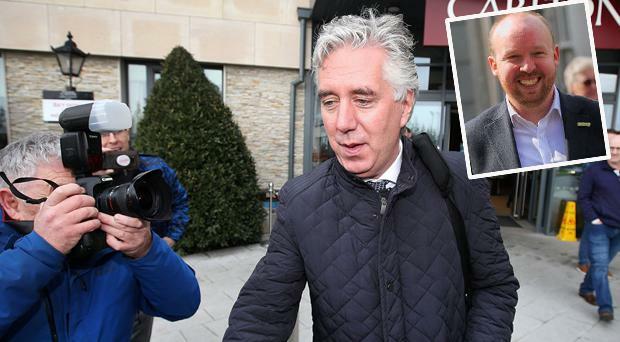 Fine Gael TD Noel Rock has said today's statement confirming John Delaney will step aside from the FAI pending an independent investigation by the association into issues of concern to the Board shows "clearly you can’t buy class". A statement from the FAI Board today also confirmed Honorary Secretary Michael Cody and Honorary Treasurer Eddie Murray had voluntarily resigned from the Board. The statement said: "The Board of the Football Association of Ireland met in Dublin today. Following that meeting, the sub-committee of the Board met with Executive Vice-President John Delaney. "Honorary Secretary Michael Cody and Honorary Treasurer Eddie Murray have both voluntarily resigned from the Board." Rock, who has been an outspoken critic of Delaney, said: "It's incredible that the treasurer has the good grace to resign, yet the Executive Vice President – in the aftermath of the loan, having his rent paid, and the €40,000 in credit card transactions in six months – [will] only step aside temporarily." Mr Rock added: "Will the FAI still be paying his salary while he has stepped aside temporarily? Who decides whether the voluntary stepping aside ends?" Sinn Fein's Imelda Munster added: "While Mr Delaney's departure will be welcome news to the Irish Public and the Irish football family in particular, stepping aside pending the completion of an investigation is not good enough. Mr Delaney and the board must go. State funding should not be restored until such time as they are gone. "There can be no confidence or accountability while the current board remains in place. Their performance at committee last week was completely unacceptable. "Only for the work of a Sunday Times journalist we would not be aware of the highly unusual €100,000 loan that Mr Delaney gave to the FAI or the fact that this was not declared to Sport Ireland. "The response from the FAI board to this revelation was completely inadequate, so much so that the CEO of Sport Ireland failed to express confidence in the board when I questioned him at Committee. Sport Ireland has since suspended its funding of the FAI. "We now urgently need to see root and branch reform of the FAI under the direction of a new board."